The Holistic Lifestyle Reset –Currently for Phoenix, AZ Locals ONLY! Reset your life in 30 days! This program is a holistic lifestyle intervention. When you hire Sarah as your holistic life-stylist you get a complete overhaul in body, mind, energy, and spirit! Get ready to start some seriously healthy holistic habits that actually work!! 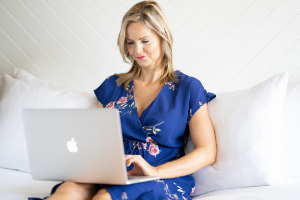 Sarah’s in-home, executive-level service is currently for Phoenix, AZ locals only as she goes on-site into your home to help you completely reset your lifestyle for optimal wellness. No stone will be left unturned. You will completely reset your body + lifestyle from the inside out in 30 days for a solid foundation in healthy living. DETAILS + APPLY. EVOLVE is a spiritual mentorship group program and your gateway to higher consciousness with spiritual guidance + proven techniques for rapid growth and transformation! This program is for you if you’re ready to clear sabotaging patterns keeping you stuck to manifest a life you love! DETAILS + GET ON THE WAITLIST! Sarah’s spiritual and transformational life coaching is a 3 or 6-month program for successful, ambitious and driven women that are always on-the-go and used to the fast-paced lifestyle. As an intuitive channel and integrative holistic practitioner, Sarah blends ancient wisdom with modern science to facilitate inner work that is transformative at its core for soul-shifting breakthroughs and accelerated growth and transformation. APPLY HERE.